Primings Cigar Lounge & Bar is a unique and engaging Cigar Lounge experience meant to appeal to the most demanding cigar connoisseurs. Primings caters to a more refined clientele. We serve the customer seeking an upscale cigar lounge combined with first-class ambiance, unparalleled service, and competitive pricing. Primings does this by offering luxury seating and a comfortable atmosphere that will appeal to anyone looking to enjoy a premium cigar. 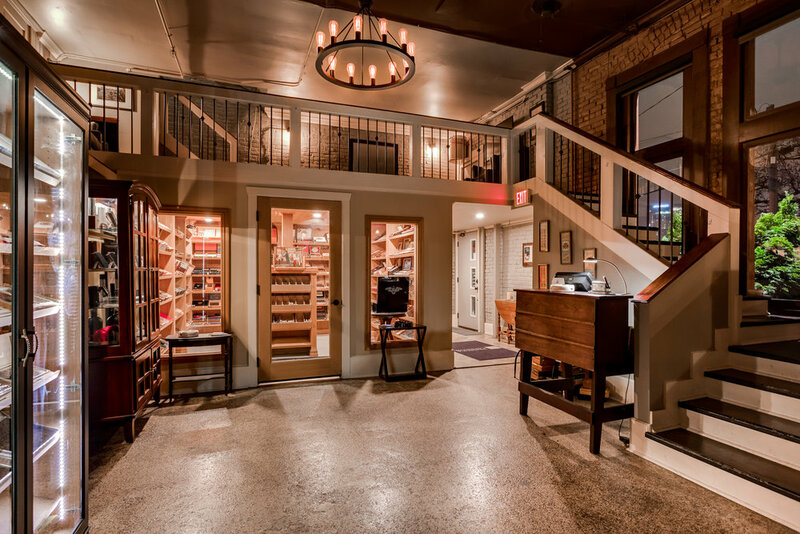 Primings Cigar Lounge & Bar offers the highest quality of hand-rolled cigars, cigar-related entertainment and events, as well as private membership and locker storage opportunities. The idea for Primings was born overseas, while founder and owner Chase Lyle was deployed to Fallujah, Iraq with the United States Marine Corps in 2006. He discovered his passion for fine cigars and the art and science that permeates throughout the industry. It was his limited time being able to enjoy quality cigars while serving overseas that pushed his motivation to learn even more about the different businesses making up its landscape. He began researching cigar bars and lounges that he could visit when returning home but found, to his surprise, that Nashville seemed to be sorely lacking in well-respected cigar gathering places. For him, Primings Cigar Lounge & Bar is that one-of-a-kind cigar lounge and bar that appeals both to those who want a private club or just a comfortable and relaxing place to enjoy one of life's pleasures. 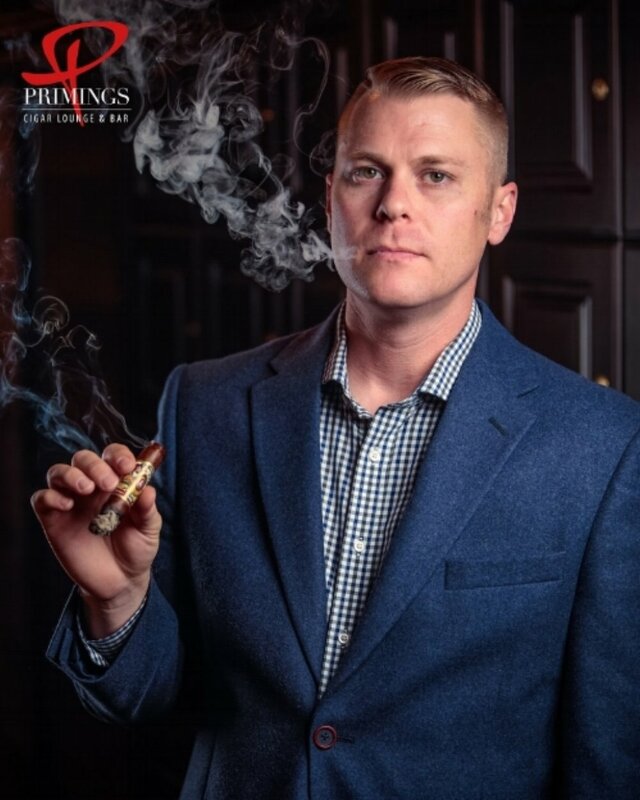 Jacob Forth is a service industry expert, bar consultant, master mixologist, tobacconist, and general manager of Primings Cigar Lounge & Bar in Nashville, Tennessee. Always a creative soul, it was first his passion for photography that brought him to places like South Africa, Europe, and Asia in pursuit of inspiration. In his time abroad he began to create smoked and balanced cocktails, while understanding how to pair them masterfully with the cigars native to the region. Jacob found himself instantly ingratiated into the industry, and it wasn’t long before he was approached with an opportunity by Primings’ owner Chase Lyle. He was tasked with curating both the liquor and tobacco program from the ground up, and did so with precision and mastery. Today, his creation has become Nashville’s best spot to relax, sip, and smoke the finer things in life and truly forget the worries of the world. Take a tour of the lounge! Click on the image to take a virtual tour.